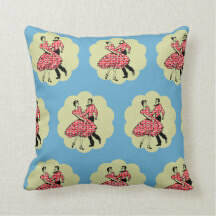 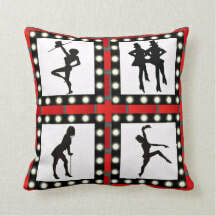 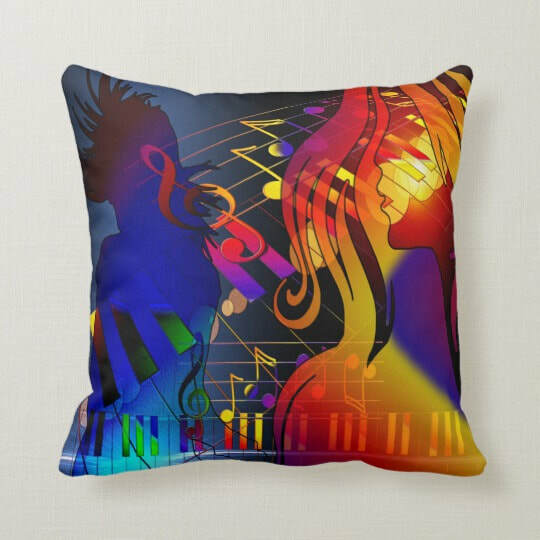 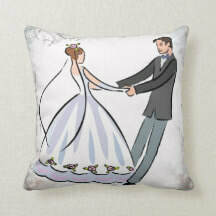 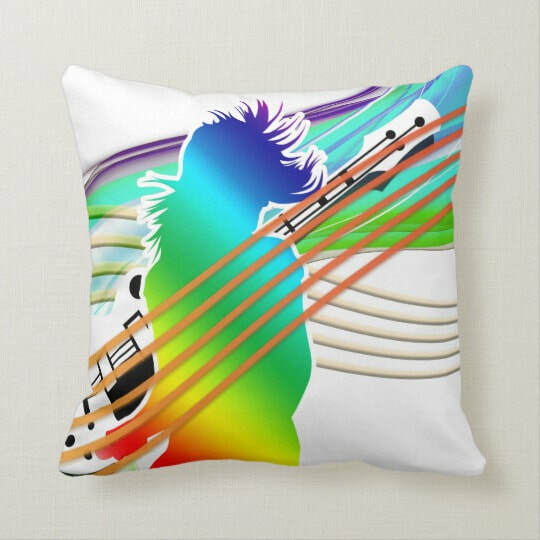 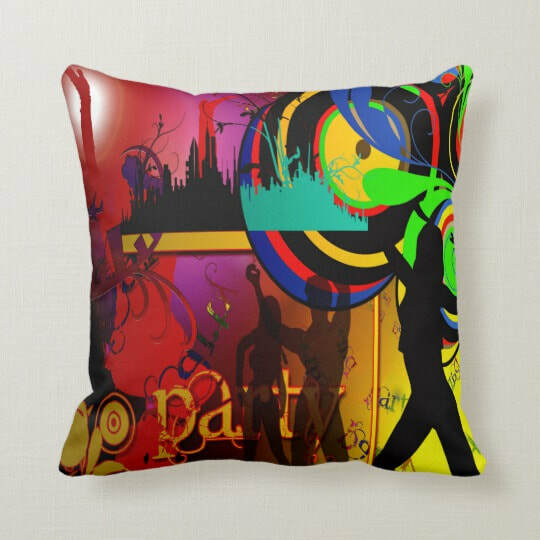 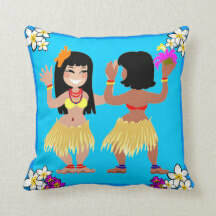 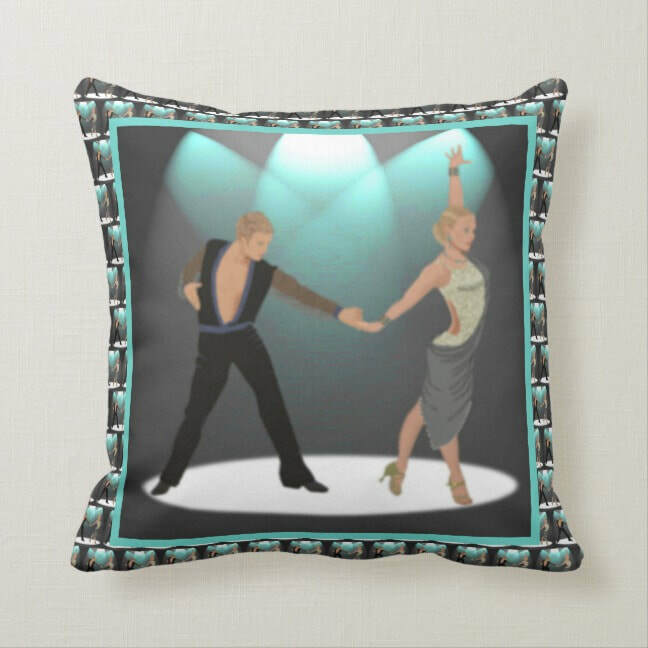 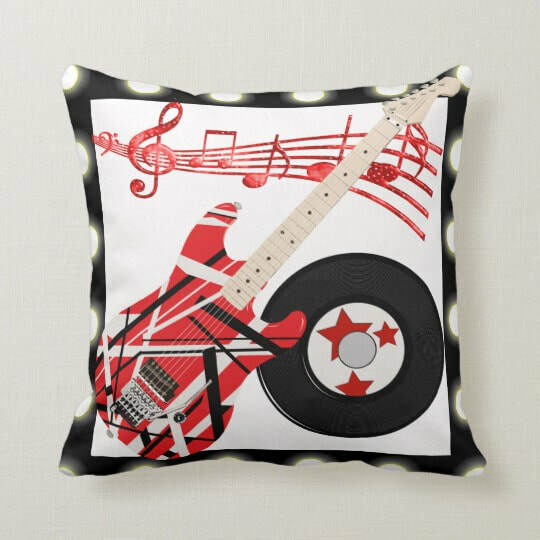 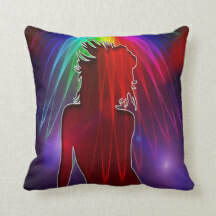 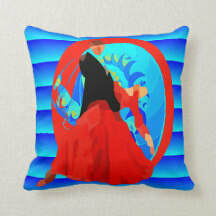 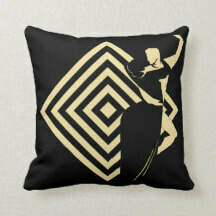 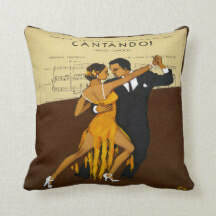 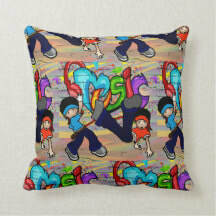 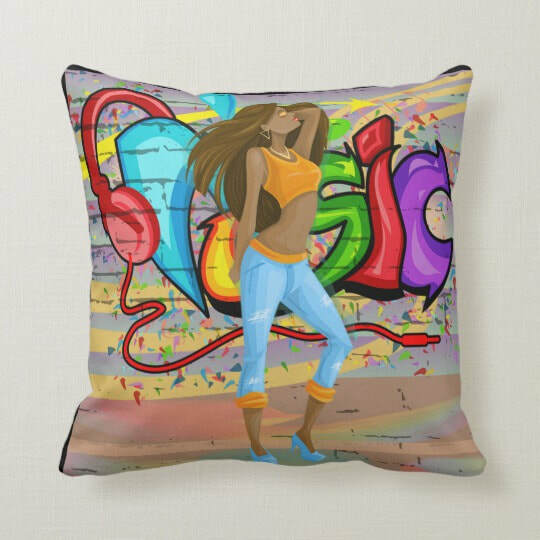 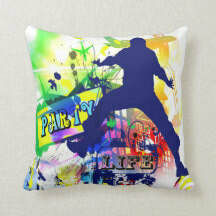 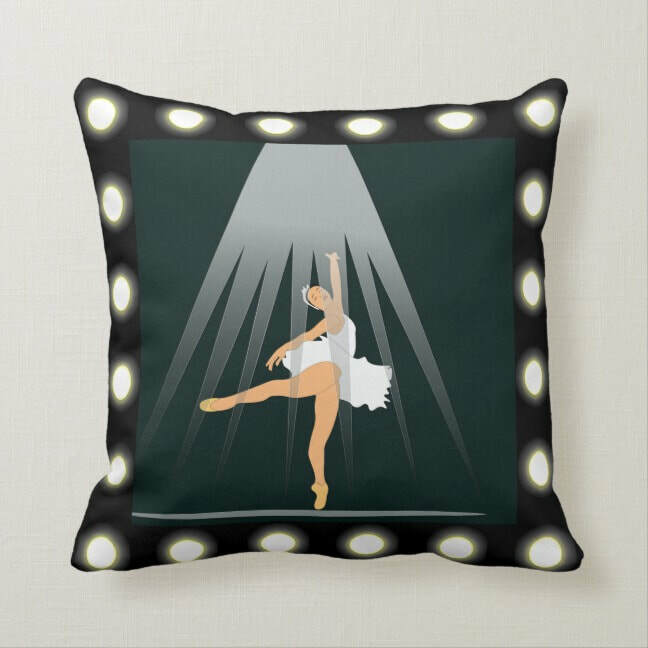 Throw pillows with dance, music and party designs printed on them. 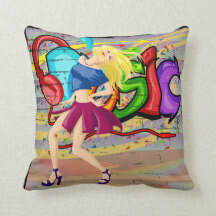 It always fun to have a special pillow that expresses your passion. 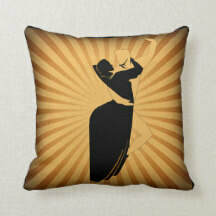 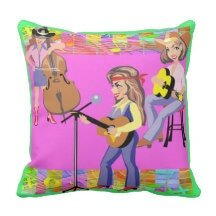 These throw pillows can be found in the home decor section of the Dancing Cowgirl Design Store at Zazzle. 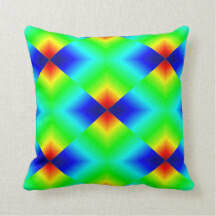 Most of my designs fit best on square pillows, but there are some other pillow shape options. 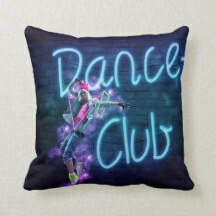 Well, pretty close. 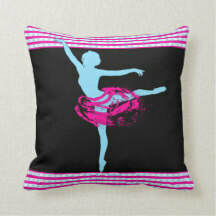 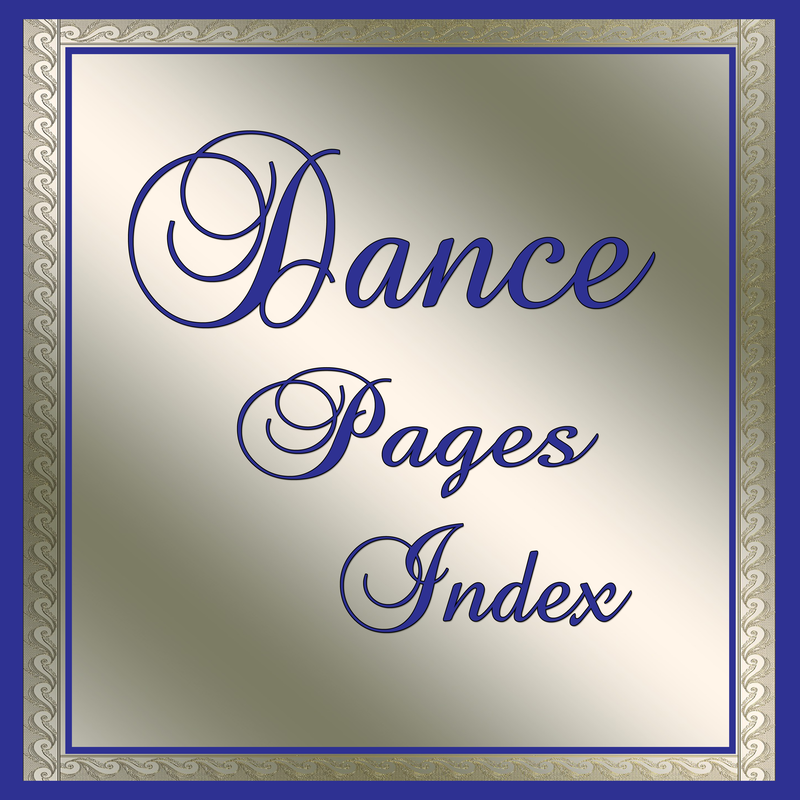 I have lots of different designs that cover most styles of dance. 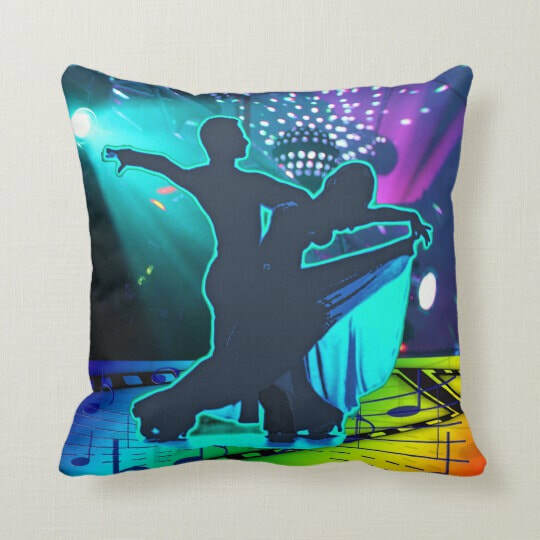 You will find ballroom and latin dance, country dance, line dance, ballet, square dance, tap and jazz dance, hula dance and swing dance. 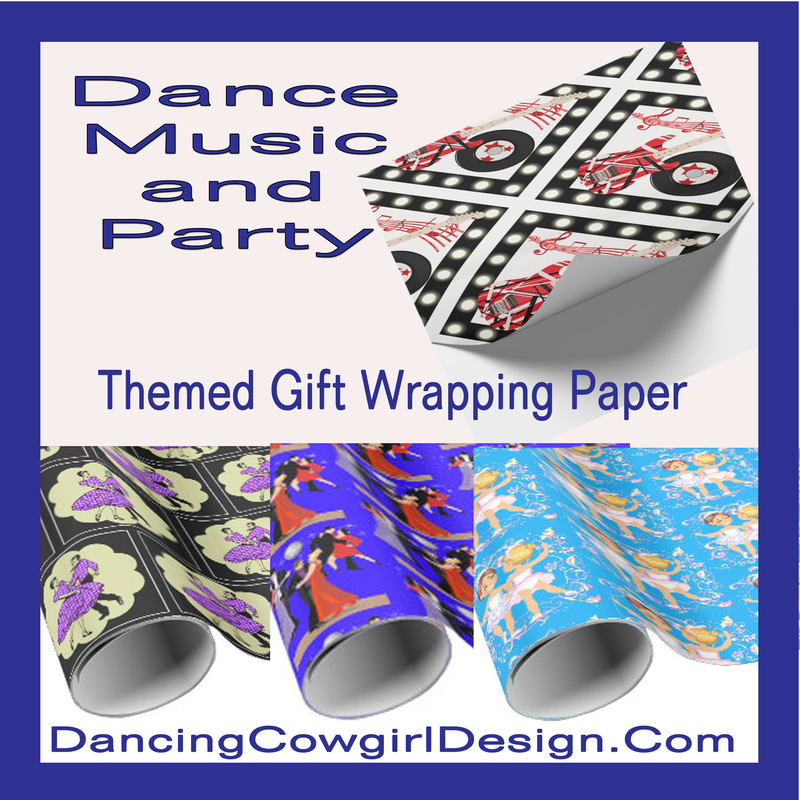 ​There are also designs with music themes, party themes, neon colors and some that have a little of it all. 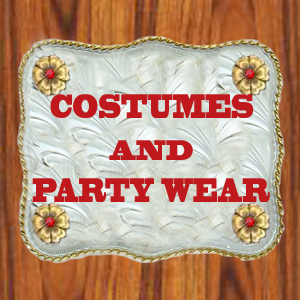 If you like to sew or make crafts, check out the fabrics that are also available in my store.